Asian Americans Value "Elite Credentials": A Misplaced Belief? The principal above is reminding fellow educators that the Department of Education had already removed ranking of students in basic education. 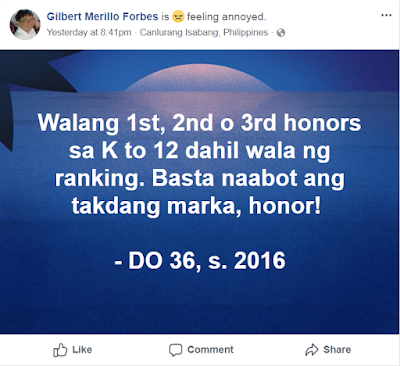 There are no more 1st, 2nd or 3rd honors. Instead, students should now be recognized simply based on their own record without comparison with others. Old habits are obviously hard to break. In fact, such habits probably stay with people even after they immigrate to a different country. This elitism may not even be uniquely Filipino but also prevalent among Asian Americans. Here is a piece of data that supports this notion. According to Jennifer Lee and Min Zhou, "Asian-Americans are 6% of the U.S. population but comprise more than one-fifth of the entering classes in the country’s Ivy League universities." ...our research also indicates that Asian Americans are less likely than white and black Americans to engage in civic activity, which is strongly correlated with corporate leadership. According to the Current Population Survey, 17.9 percent of Asian Americans engage in volunteerism, compared to 26.4 percent of whites and 19.3 percent of blacks. Our analysis of the 2016 National Asian American Survey shows that only 59 percent of Asian Americans make charitable contributions, compared to 68 percent of whites and 65 percent of blacks. This lack of engagement outside of work is handicapping Asian Americans in their careers. Competition is unfortunately more pervasive than collaboration. 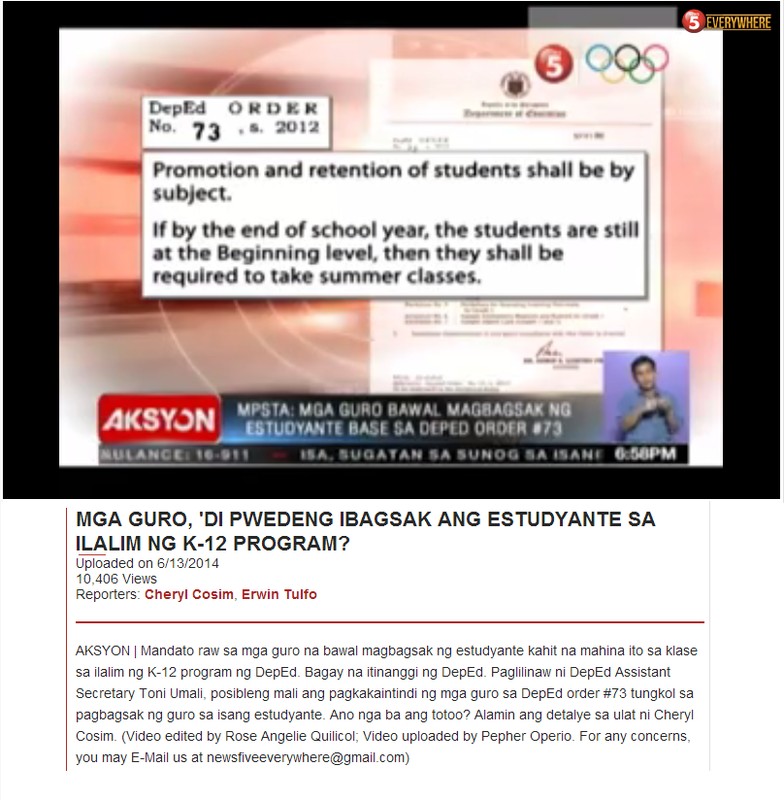 And in the Philippines, this is in fact one big problem with basic education. Competition means getting ahead. It is the direct opposite of equity in education. Ensuring success for every student is vital to improving educational systems. 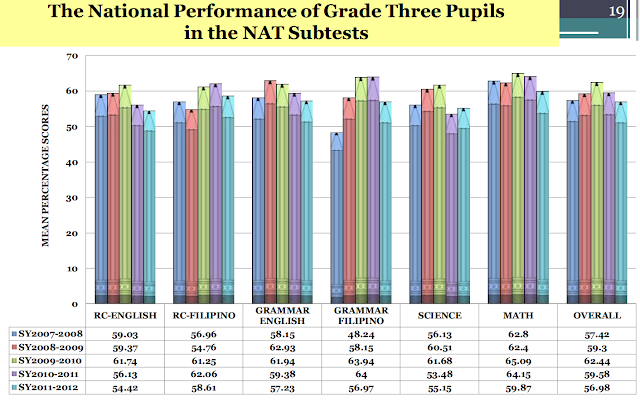 With elitism, it is therefore impossible to improve Philippine basic education.